Men 5k Race Walk 9:00 a.m.
Women 5k Race Walk 9″45 a.m.
New England Walkers very own Maegan and Nolan Allen of Arlington, MA each competed the 1 Mile Race Walk at the New Balance Indoor Championships last Saturday. The race was held at at The Armory in New York City, and included the top high school race walkers in the nation. Maegan placed 6th with a 7:22.43, setting a Massachusetts and New England scholastic indoor record, in a talented field where the national record was broken by Ashleigh Resch of Ohio. Nolan finished his race with a respectable 7:54.82. The New England Walkers would also like to recognize our local race walkers from Maine and Connecticut: Kayla Allen, Sydney Sirois, Spencer Dunn, and Jonathan Lazor for their participation. For the complete results go to http://www.nationalscholastic.org/files/results/2015_NBNI_results_-_track_Sat2.htm. 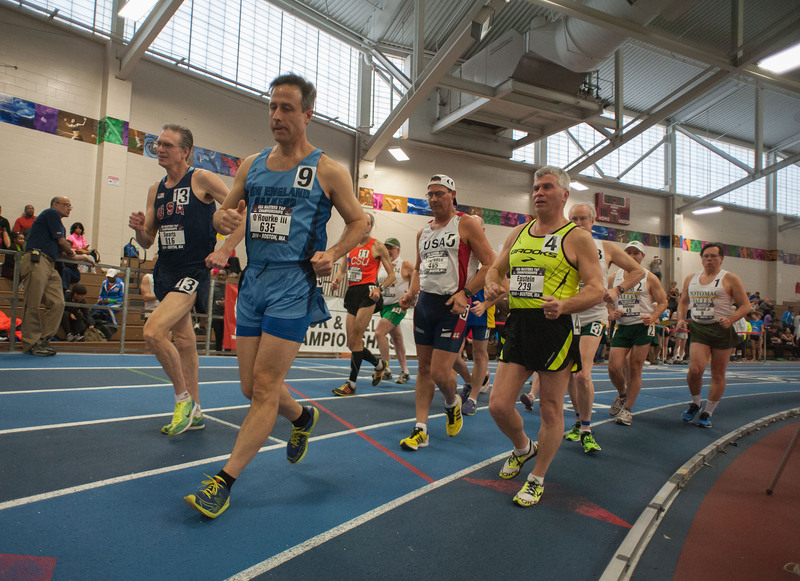 Here are the results of the 2014 National Masters Indoor Championships, 3000 meter race walks. Maryanne Daniel of Connecticut set the American W55 record with a time of 16:14.01. In the M65-94 heat, Robert Keating of New Hampshire led the entire race, winning the M65 division in 16:12.43. At the start of the M45-64 heat, David Swarts, Edward O’Rourke III, Donald Lawrence, and Larry Epstein quickly move to the front of the pack. Judges included: Ron Daniel, Maryanne Daniel, Debbie Fredrick, Shawn Fredrick, Thomas Knatt, Bill Pollinger (chief), Justin Kuo (recorder). Results from the 2014 New Balance Nationals Indoor T&F Meet one-mile race walks. The event was held on Saturday, March 15 at the New Balance Track & Field Center at The Armory, New York, NY. 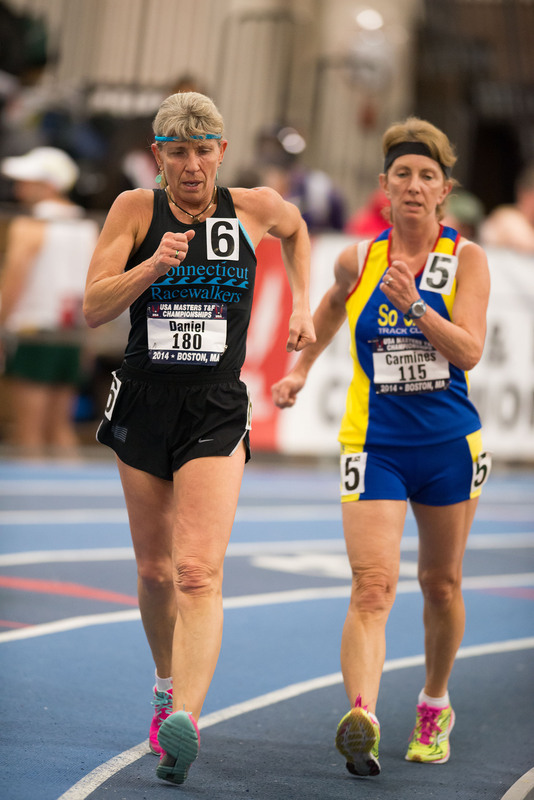 Maryanne Daniel set a Masters Age Group record in the 3000 meter race walk at the USATF New England Track & Field Championship on Feb 23, 2014. 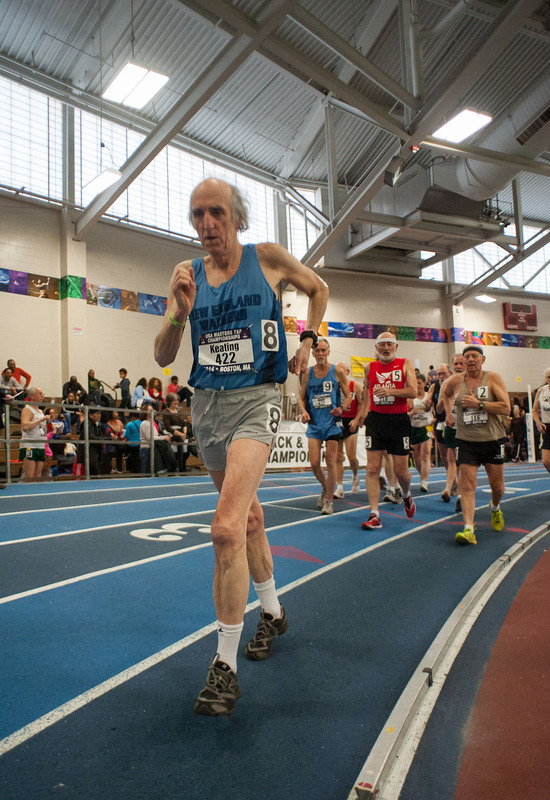 Here are the results of the 2014 USATF New England Indoor Championship, 3000 meter and 1 mile race walks held at Harvard University, Boston MA on Sunday, Feb 23, 2014. In the second annual Mass. Scholastic Race Walk, supported by New England Walkers, siblings Nolan Allen and Maegan Allen were again first across the line in the mile competition. Maegan recorded a best ever time for the event by a Massachusetts girl, 7:46.34. Both winning times qualified for next month’s New Balance National Scholastic meet – the first Mass. 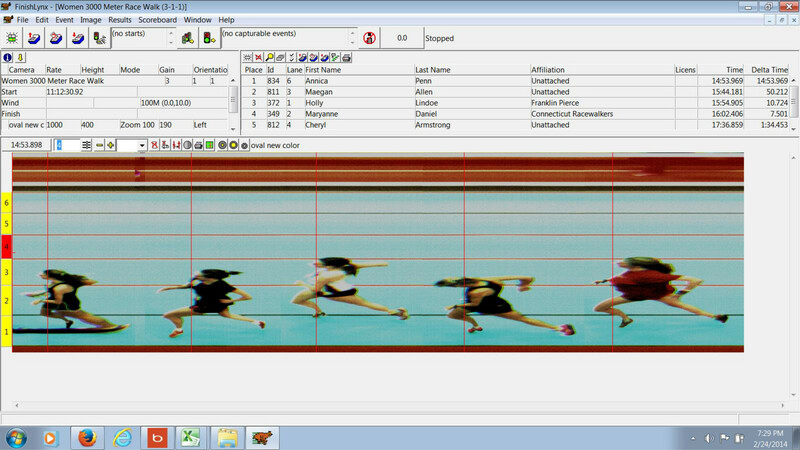 boy and girl ever to achieve this honor in the race walk. Co-ed, 800 meter combined with the mile.